We’re huge on collaboration! This time, we’ve partnered up with TradeGecko, a cloud-based inventory and order management platform for eCommerce stores, to share their guide to getting started in B2B eCommerce. If you’re a B2C seller who’s hoping to expand into B2B, or you’re planning to set up a B2B eCommerce business, this is for you. If you’re thinking of making the shift to B2B, we recommend it – there’s a goldmine waiting to be tapped. 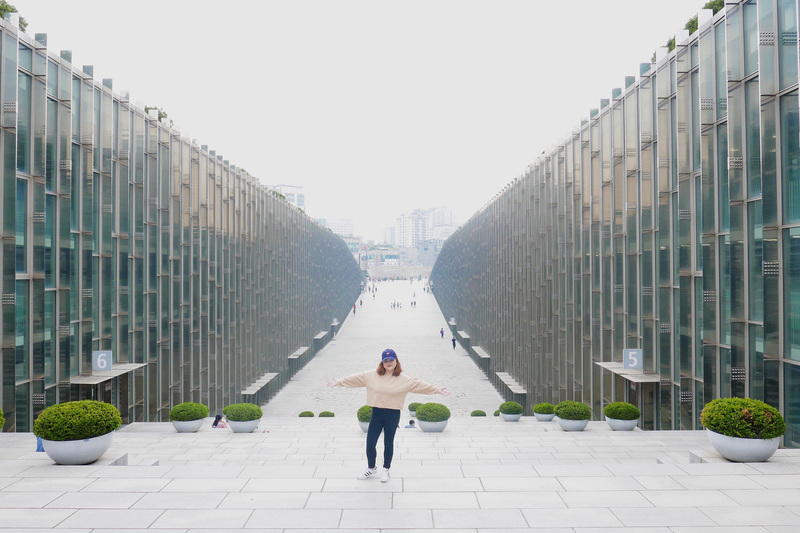 We’re not being dramatic here: global B2B eCommerce ($7.6 trillion) is over three times larger than B2C eCommerce ($2.1 trillion), so taking a step out of your comfort zone and venturing into the B2B realm could be a move to reap you great rewards. 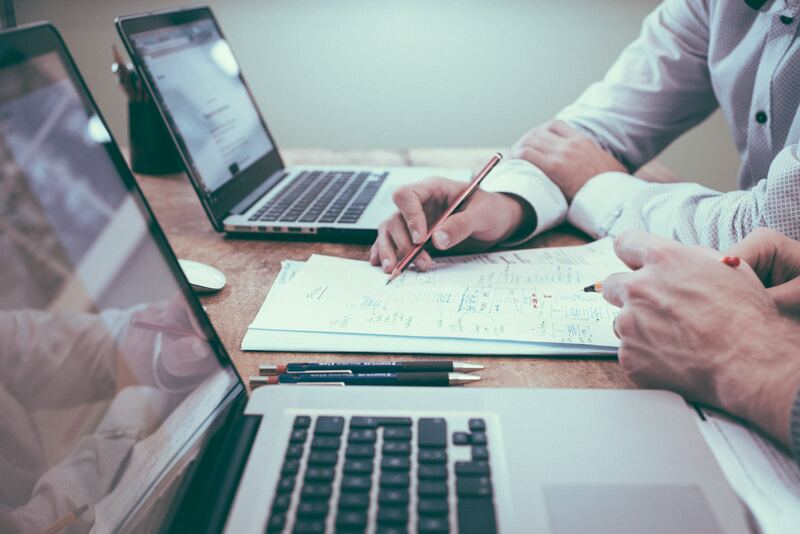 Venturing into the B2B market is easier than you might think. It’s especially so if you’re already in the B2C eCommerce market because you can combine it with your current B2C online store. Before reaching out to business buyers, you’ll first need to determine your wholesale pricing. One thing to keep in mind: Aiming to gain an edge over your competitors with rock-bottom prices is a poor strategy. Business buyers, in general, value transparent prices over low prices. It’s perfectly fine to charge a premium – maybe your products are made in the US, or maybe you use top-grade or organic materials in your production process. Whatever it is, be sure to let your business buyers know the value you’re bringing for the price they’re paying! The most straightforward method for determining your sales price to businesses is to divide your retail price to consumers by half. For example, if your retail store price is $100, you could sell to businesses for $50. However, this one-size-fits-all approach may leave you with little profits. To ensure you’ll earn a profit on every product, you might want to try the absorption pricing method. 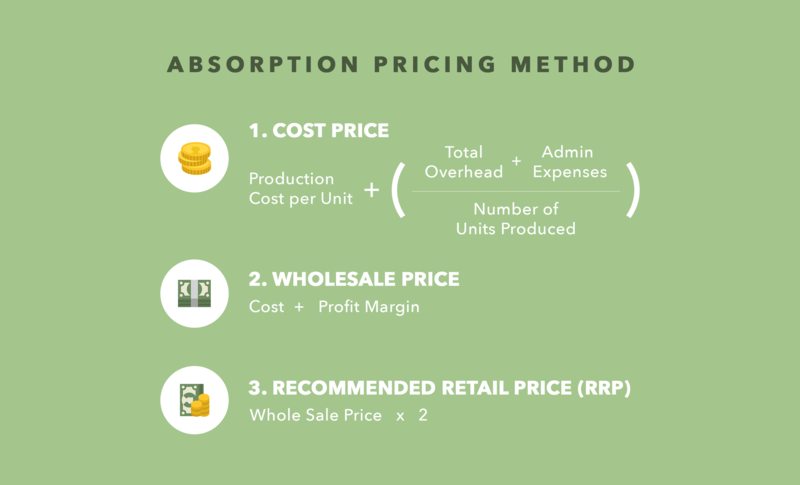 The absorption pricing method takes into account your production costs, overhead expenses, and profit margins to derive your RPP (Recommended Retail Price). 1. Calculate your cost price: You do this by adding your production cost per unit to your overhead expenses (which is the sum of your total overhead and admin expenses divided by the number of units produced). 2. Calculate your wholesale price: You do this by adding up your cost price with the profit margin. 3. Calculate your RPP (Recommended Retail Price): You do this by multiplying your wholesale price by 2. If you’re keen to find out more about calculating the right wholesale price for you, there are several formulas that you can try. It’s 2017 – if you’re still processing orders from customers manually, it’s time to go tech. The aim is to automate the bulk of your ordering workflow, so that you can knock off work at 5pm and get your happy hour on! First, set up a custom price list for each B2B customer since you’d have negotiated for different prices with different customers. You may want to give your loyal customers better rates, and incentivize them to continue working with you. No, not the chocolates, though you might need some M&Ms as brain fuel while trying to figure out your other Ms! These stand for your Minimum Order Quantity (MOQ) and Minimum Order Value (MOV). The MOQ refers to the minimum amount of products your B2B customer has to buy from you (e.g. 500 pieces). The MOV refers to the minimum price of an order your B2B customer has to pay you (e.g. $500). Once you’ve set these two metrics right, you’ll weed out B2B customers who are only looking for the lowest price and keep the right ones for you. If you were to run out of stock, your B2B customers would also run out of stock, and this would harm their business’ reputation. In turn, this shows that you’re not reliable, and you wouldn’t want to get stuck in such a sticky situation! So, reordering your stocks to ensure that you have sufficient supply is important. To find out when you need to reorder your stock, you’d have to figure out your reorder point. Your reorder point is the point in time to place an order from your supplier for a new shipment of products – which is once your stock has fallen below a certain number. To calculate your reorder point, sum up your lead time demand and safety stock number. Your lead time demand measures the amount of stock you need while you wait for your supplier to ship new stock to you. 1. Find out your supplier’s lead time: Your supplier’s lead time is the total amount of time they take to ship an order to you. This includes production, packing and shipping time. 2. Calculate the lead time demand: Next, multiply your supplier’s lead time by the average number of products you sell per day (average daily usage) to get your lead time demand. But wait, you’re not done yet. You could order the amount equivalent to your lead time demand, but that would mean that you have zero buffer stock – which isn’t wise. This is where the safety stock comes in. Safety stock is the buffer stock you carry to guard against unpredictable events such as a sudden surge in demand, or a delay in manufacturing time. 1. Calculate your maximum daily usage and lead time: Multiply your maximum daily usage and maximum lead time in days. 2. Calculate your average daily usage and lead time: Multiply your average daily usage and average lead time in days. 3. Calculate your safety stock number: Subtract your averages from your maximums. Suppose the demand for bicycles increases on weekends, and you could sell as many as 15 per day, so your maximum daily usage is 15 bicycles. After you’ve derived your lead time demand and safety stock separately, remember to sum them up to get your reorder point! If you need a more in-depth explanation of this, take a look at these formulas. Lastly, choose a payment gateway to work with. Take into consideration what best fits your business needs. There are many options in the market, including PayPal, Stripe and what we’ve built at TradeGecko. You would want to select a payment gateway that’s secure, easy to use, and doesn’t charge high transaction fees! Think of a line sheet as a practical and concise catalogue. It provides potential buyers with practical information about your wholesale products so that they can make a purchase. A line sheet usually includes a list of all your wholesale products, along with the product names, product images, stock-keeping unit (SKUs), wholesale price, suggested retail price, and minimum order quantity. It should also include your payment terms, such as upfront payment or installments, and shipping information, such as the time it takes to ship the products to your customers. 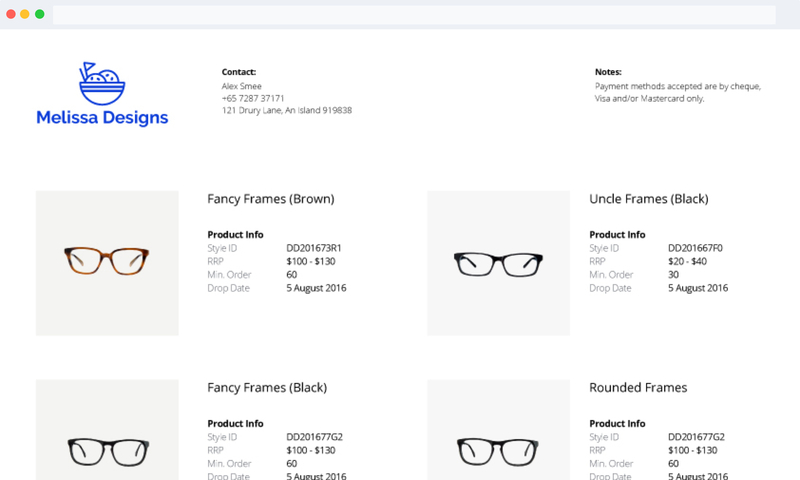 Creating these line sheets can be a hassle, try this line sheet generator we’ve developed here at TradeGecko, and start sending it out to potential customers! Once you gone through step 1 to 3, the last step is to integrate all the components on your online shop! There are 3 different options to choose from. First, you could use an in-house development team. Second, you could build it on top of your current B2C eCommerce store. The last option is to choose platforms like TradeGecko, which manages your inventory, order and accounts all in one place. Congrats, you’ve made it to the end of this article. 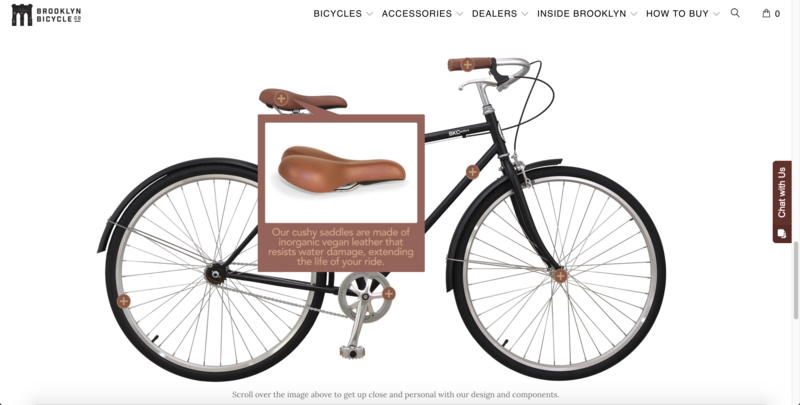 We hope you’ve learnt the basics to get started on your B2B eCommerce store. Best of luck! TradeGecko is a cloud-based inventory and order management platform for small and medium-sized businesses (SMEs), serving B2B wholesalers, distributors, and eCommerce entrepreneurs. TradeGecko’s inventory and order management software now has a global customer base in over 90 countries serviced from their offices in Singapore, Canada, and the Philippines.